Do Vegetarians and Vegans Have Claim to Moral Superiority? 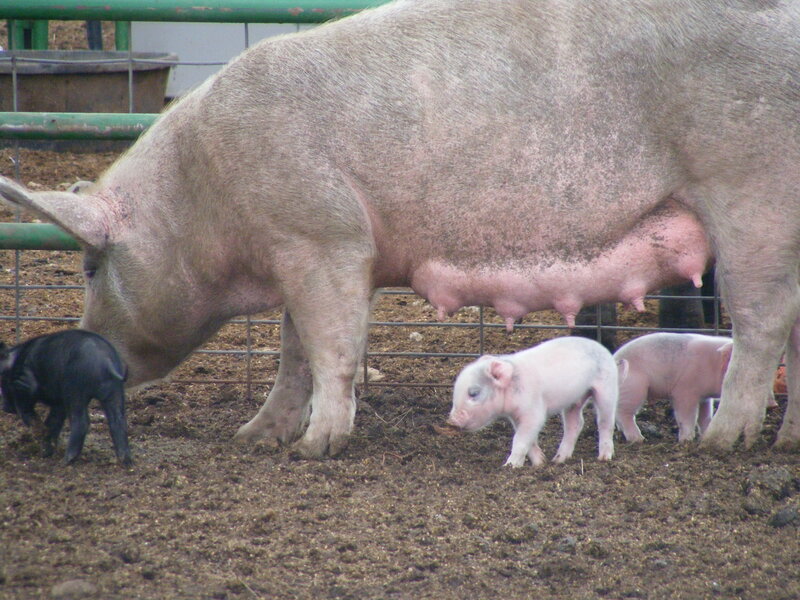 We have a ranch in the Rocky Mountains of Colorado, where we proudly produce pork, lamb, beef and poultry. We have experienced the disgust of many vegetarians and vegans who feel eating meat is evil and inhumane. And I agree. It is hard to take a life so that we can live. Many religions have prohibitions against certain foods, especially meat. Jews are forbidden to eat pork. Hindu are prohibited from eating beef. Some Christians don’t eat meat during Lent. Buddhists have a variety of eating beliefs depending on the sect they follow. The Mahayana tradition strictly prohibit eating meat. Japanese Buddhists believe Buddha eat meat and that being vegetarian is optional. Tibetan Buddhists believe that vegetarianism is unnecessary. Additionally, some Eastern Buddhists believe that they should never eat a plant if eating it takes its life. So vegetables like onions, carrots, and other roots are never eaten. So, is eating meat morally reprehensible if eating root vegetables are seen as taking a life? After all, life is life. Either you have respect for all life or you don’t. Meat might seem higher on the torture scale since there are eyes and consciousness staring back at you. But doesn’t the carrot feel anything as it is wilting in the sun, hoping it will be stuck back into the dirt. We have to be honest and acknowledge that we take the life of many other living things to sustain our own life. There are things I don’t like about that reality, but in truth, if we didn’t raise our animals the way we do, someone else would raise animals, just for profit and never consider the wellbeing of the animals. Of course, I’m taking about factory farms, where most people in America get their meat, eggs and dairy products from. All of our animals are grass-fed and grass-finished, but the pigs are given additional barley to increase their protein intake without giving then any corn or soy, which is the industry standard. Many years ago we made the decision to not feed our animals corn or soy, organically or conventionally grown. Americans eat a very high percentage of corn and soy in their diets, and our meat does not need to contribute to this over consumption. Corn and soy are used to feed all factory farm animals not because it is healthy for them but because it is cheap, easy to store and easy to transport. In 2013, 77.7 million acres of soy and 97.4 million acres of corn were planted in the US alone. Now honestly, how many animals have been displaced and probably died because of the loss of habitat? How many more animals, mostly fish and aquatic life, die because of the fertilizer and pesticide running off the field and leaching onto waterway? While I’m on the topic, I might just mention the fossil fuels it takes to plant; spray; water; harvest; transport and process all the corn and soy. Where is the moral high ground again? This entry was posted in Uncategorized and tagged beef, corn;, corn; soy; vegan; vegetarian; pork; beef; over consumption; pesticide; fertilizer, fertilizer, pesticide, pork, poultry; over consumption, soy, vegan on December 4, 2013 by Windkist Ranch. I am a vegetarian but am very accepting of ethically raised or hunted meat. I never feel a higher moral ground but found that eating meat was a slippery slope for me. As a vegetarian, I never get talkdd into eating conventionally raised meat. I admire your efforts to raise meat animals in a respectful, responsible way.